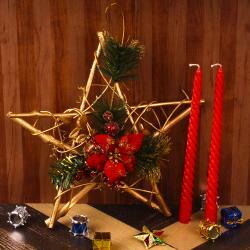 Product Consist : Feliz Navidad Hanging along with Pillar Candle and 2 Reindeer Showpiece. Wish your friends Merry Christmas in Spanish style. This Hamper which includes cute snowman face bunny made out of jute which hold a banners. The Merry Christmas Banner In Spanish - FELIZ NAVIDAD. This Hamper also includes simple candle. 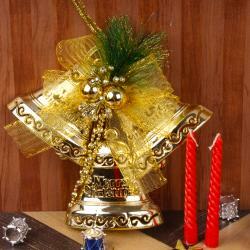 This hamper special contains pair of reindeer is sign of happiness come toward to your home. 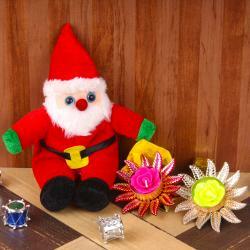 This hamper surely surprised your friend and dear ones. So, book your gifts on time before timeout. 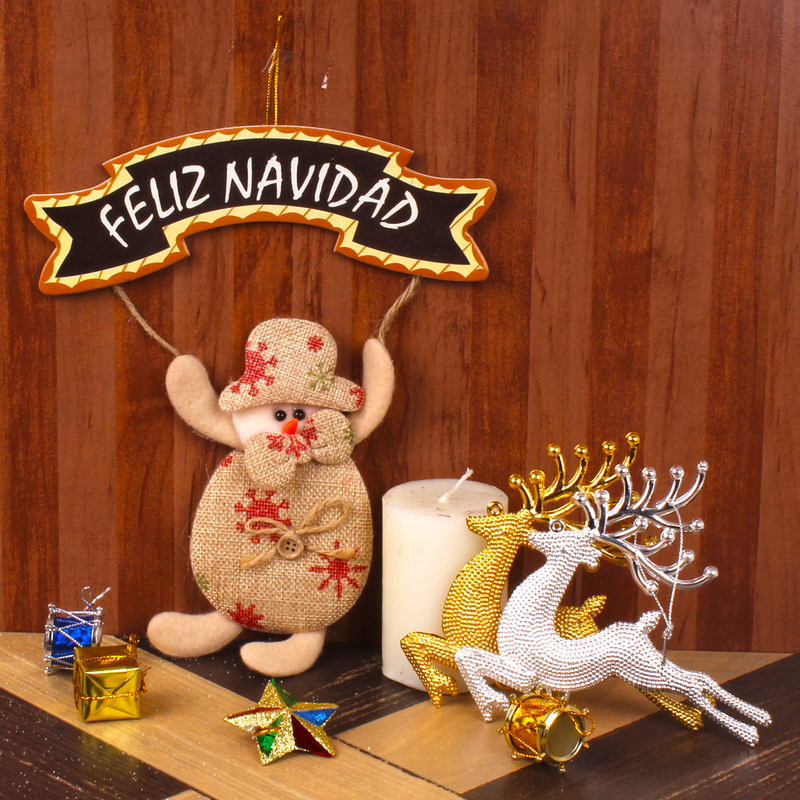 Product Consist : Feliz Navidad Hanging along with Pillar Candle and 2 Reindeer Showpiece.